One of my favorite places in my house is my kitchen. It is important to have good equipment when cooking. 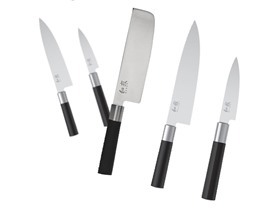 Check out these cool knives - Kai Wasabi Knives $39.99 - $59.99.